I have read a number of books on the issue and taken the approach, personally, to put God in the best light possible in terms of my understanding of His character. After all, the better I understand His character to be, the more I love Him and desire a relationship with Him. It has certainly helped in my spiritual walk. On this page, I will try to summarize the issue from the perspective of my own experience. What is God Really Like? There has always been a tension between ideas of God’s love and His justice. Somewhere in that continuum lies the truth about what He is like. For much of history, God’s justice has been emphasized. The fire and brimstone, forever-burning hell concept of God has actually been responsible for making many people into atheists. Thinking people simply have a hard time accepting such a deity. I was raised in Roman Catholicism, a system that taught that if you were not “in God’s good books” you would end up in “the wrong place” and stay there forever. Most people in that system don’t really think through (and I didn’t) what that says about God’s character. Around my university years God was on the backburner, I was learning new and different things including lots of evolutionary theory in my chosen field of biology. A few years later, an interest in religion was rekindled and I then took the position to “prove all things” from the word of God for myself. I learned many things, repositioned myself on the side of creation and came to understand many Biblical topics differently than I had in my youth. What really got me started trying to answer “what is God really like?” several years ago was reading the book Light on the Dark Side of God. 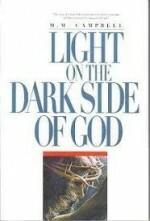 The author, Marilyn Campbell, brings out how passages that seem to support a “dark side” to God, when rightly understood by allowing the Bible to explain itself, really show that God is light; He does not have a dark side at all. He always acts in accordance with how Jesus portrayed Him while He walked this earth. In fact, Jesus and how He lived His life is the best picture available on what the Father is like. I have this book featured on both this and my other website and, with the help of friends, have distributed copies to people around the world who have requested it. From about 2004 until I published my first book (In the Heart of the Earth: The Secret Code That Reveals What Is In the Heart of God) in 2009, I was very absorbed in a detailed study of the timing of Jesus’ resurrection. 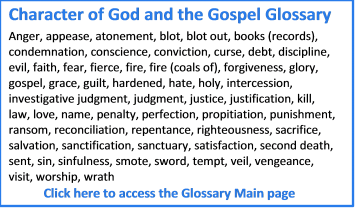 I did not know when I started my study that the conclusion of the book would include a very significant connection to the character of God issue. I read a lot on this topic and I have never seen this particular gem of truth shared anywhere else. Read about and access that book here. 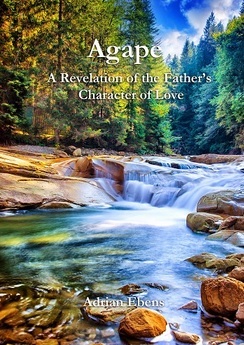 On this site you can read an excerpt from the final chapter that shows the book’s very interesting connection to the character of God message. Then, a few years ago, I did a detailed study on forgiveness. It turns out that the Bible translates forgiveness from different original words that have different meanings. It is important to recognize that forgiveness is a two-party transaction; it is both given and received. For example, the Greek word “charizomai” describes forgiveness as experienced in the heart/mind of the forgiver, the one doing the forgiving. The word “apheimi” describes forgiveness as experienced by the forgivee, the one receiving the forgiveness. When these words are understood and their uses are examined in context, it turns out that God always (from His heart) forgives every sin whether confessed or not. In Col 2:13 God had forgiven (charizomai) the sins of those described as “dead in your sins.” In 1 John 1:9 what sounds like conditional forgiveness (apheimi) is referring to us receiving forgiveness. The unforgivable sin could be understood simply as that sin for which we will not receive forgiveness. 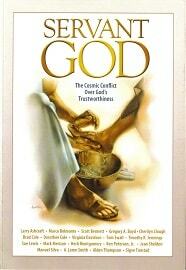 Check out my booklet Biblical Forgiveness: Are there Two Types? (published in 2013) which describes the different meanings of forgiveness in detail. Read more about that here. 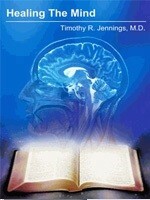 Then, later that year (2013), I came across a video series Healing the Mind by Dr. Timothy Jennings a psychologist in Collegedale, Tennessee where he directs Come and Reason Ministries. One presentation in that series titled The Seven Myths of Forgiveness connected very well with my understanding of forgiveness. God does indeed forgive every sin. What has been understood as His “forgetting sins” is merely His not allowing our sins to affect His love for us and His desire to have a relationship with us. Like we would say to someone who has offended us “oh, just forget it” meaning it doesn’t affect our regard for the offender. God does not somehow blot the memory of sin from His omniscient mind. The record will remain as part of the evidence of the sin problem and His solution for it but God does not allow our sins to affect His love and care for us. Dr. Jennings also explains many other aspects of the gospel from an understanding that God does everything based on the principle of other-centered love. Dr. Jennings also explores the relationship between justice and love and the very fundamentals of the gospel. I have now studied this in detail and hope to soon be adding material to my website to simply explain it and to further this truth. I have come to call it the Biblical Healing Model as opposed to the Traditional Legal Model of the gospel. The world (even the vast majority of Christianity) has been thinking that God is justice at the expense of the greater truth that God is love (not that He isn’t just in all His judgments). As a result of the work of Marilyn Campbell, Timothy Jennings and many others I have come to an understanding of God’s character and the gospel which is a wonderful message that has great potential to turn hearts to God. As people see the Son of man lifted up and realize more clearly that “God so loved the world, that he gave his only begotten Son, that whosoever believeth in him should not perish, but have everlasting life” their hearts will be drawn to Him. That is my prayer and the goal of this website. I have pondered the question ‘What is God really like?’ As I hope to be spending eternity with Him, I think it is a reasonable question. I have read much on the topic and have come to the conclusion that indeed God is love; that everything He does is entirely consistent with that most-important attribute of His character. I wish to do all I can to shed abroad this “… light of the glorious gospel of Christ, who is the image of (the same character as) God …” (His Father) (2 Cor 4:4). If, after reading the material on this website, you see light in it, I would appreciate your support in prayer and pointing others to my site and other sites it links to that portray God as the One Who is Love itself.